The Aubrac breed is a moderate-framed, highly maternal breed from southern France that was developed centuries ago for production of forage-based beef. The Aubrac region supports little grain production, so economic reality has propelled selection for productive and efficient beef cattle. As the U.S. industry moves toward more moderate-framed, deeper-bodied and practical cattle, Aubrac have caught the attention of many cattlemen. Developed in an all-forage environment in a remote area of southern France, the Aubrac breed has placed strong emphasis on cows that calve on a regular basis -- or they leave the herd. Maternal calving ease is exceptional. Cows have sound udders and optimal milk production for our major beef producing areas in the United States. 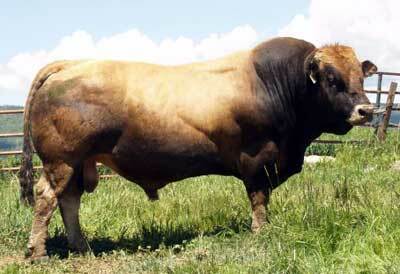 Aubrac cattle will complement British cattle and add muscle in the resulting crosses. They are not as heavily muscled as extreme continental cattle, and therefore avoid the problems associated with those genetics, including calving difficulty and reduced carcass quality.